Founded in 1958, California State University, Northridge is a vibrant and global community located on 356-acres in the heart of Los Angeles’ San Fernando Valley. Northridge, which is among the nation’s largest single-campus universities, encourages students to combine academic pursuits with hands-on experience. It also serves as the intellectual, economic and cultural heart of the Valley and beyond. Alumni include California Teachers of the Year, Grammy Award winners, public officials, nationally-recognized newscasters and a space shuttle astronaut. Their success reflects the hard work of Northridge students and the ongoing dedication of faculty and staff. The University is recognized by the U.S. Department of Education as a Hispanic Serving Institution. Northridge is accredited by the Western Association of Schools and Colleges. The College of Business and Economics is one of largest business schools in the nation and is accredited by AACSB, the highest standard in business and management education. We offer a variety of outstanding academic programs, including undergraduate programs in accounting, information systems, management, marketing, economics, finance, business law, systems and operations management, and real estate. Many of our most capable undergraduate students enroll in our honor's program as a recognition of their demonstrated academic success and as a program to encourage their continued academic growth. To broaden and enhance the educational experience of undergraduate students majoring outside of business, we offer minors in business, management, marketing, and economics. At the graduate level we offer a flex/part-time Master of Business Administration designed to satisfy the needs of the working professional. The Master of Science in Accountancy satisfies the 150 unit requirement for the CPA. The Master of Science in Taxation is designed for mid-career professionals seeking advancement in the field of tax. Our Graduate Certificate in Business Administration program is a pre-MBA program designed for fully-employed professionals who earned their undergraduate degree in a field other than business and now need some fundamental business tools as they assume greater leadership. This program serves as a stand-alone graduate certificate and prepares students with the foundation courses required in the MBA program. All our programs are designed to prepare our students for future careers as leaders in business and government in the global economy. Our outstanding faculty are noted for their applied academic research and for their research presentations at national and international conferences throughout the world. Many of our faculty are consultants to business and government and serve on the board of directors of numerous corporations and non-profit organizations. Our faculty and staff are dedicated to the success of our students. Academic advisement services are provided daily through Student Advisement Center. Our faculty and department chairs provide advice on further graduate and law school education. As an important part of the educational experience of our students, more than a dozen student organizations, including the Accounting Association, Latino Business Association, American Marketing Association, Student Finance Association and others, bring business leaders to campus, provide career opportunity and networking events for students, engage in community service activities, and offer social activities. Students enjoy rich extracurricular life on the beautiful suburban campus, which features the award winning Valley Performing Arts Center and a vibrant arts community, 18 competitive sports teams in the NCAA Division 1, and a brand new state of the art student recreation center – free to all students. CSUN is one of the most affordable programs in Southern California, but also rather small. Therefore, admission to the MBA program is competitive. To be eligible for graduate study, students must have at least a 3.0 GPA from their last 60 hours of undergraduate coursework and score within the 50th percentile on the GMAT. In reality, the average GPA...CSUN is one of the most affordable programs in Southern California, but also rather small. Therefore, admission to the MBA program is competitive. To be eligible for graduate study, students must have at least a 3.0 GPA from their last 60 hours of undergraduate coursework and score within the 50th percentile on the GMAT. In reality, the average GPA for the most recent incoming class was 3.3, and the average GMAT score was 595. Two years of professional work experience is a requirement of the program. 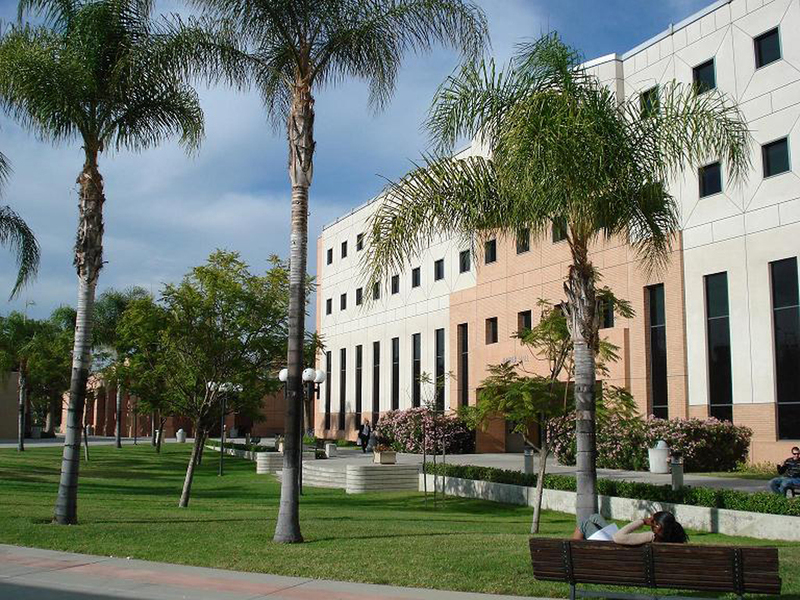 All business classes are held at CSU Northridge’s main campus, located in Los Angeles. The campus is well equipped and comfortable, and there is a “private MBA reading room” with computers, a printer, a presentation screen, a refrigerator, tables and chairs for students to get together, study, or relax. When getting together with other students, “The graduate lounge is great and is always available” for study meetings and casual chats. When schedules permit, “Sometimes, classmates go out to eat after class.”With active professional commitments outside of school, very few MBA students are actively involved in the community beyond “group meetings with classmates and study groups once a week.” However, “Nearly every class involves small group work,” so stu­dents at CSUN have an opportunity to get to know their colleagues outside the class­room setting. Drawing from the surrounding community in Los Angeles, “The students are diverse in many ways. In addition to representing a “mix of geographical, cultural, and work backgrounds,” they “vary in experience, from recent college grads and young professionals to mid-career transitioners.” On the whole, CSUN is a collaborative pro­gram, with “very little sense of academic competition” between students. Almost all MBA candidates at Cal State Northridge are working professionals hoping to advance in their current career. While the MBA program prepares them to take on profes­sional challenges, many feel that the school needs “better career services for MBA” stu­dents looking to make a career change. There are no career resources dedicated exclusive­ly to MBA students on campus, and there is “very little connection to the alumni network” in Southern California. With limited campus recruiting for graduate students and no career center in the business school, “Career placement is all but non-existent” for MBAs. Students who attend the program full-time or who are considering a career change can visit CSUN’s Career Center, which serves the entire undergraduate and graduate popu­lation at the school, including business students. The Career Center operates a series of career development workshops for the CSUN community, as well as numerous job fairs and employment expos throughout the year. Their services include events aimed at Northridge alumni and recent grads. For Golden State professionals, California State University, Northridge offers an afford­able and convenient option for a graduate degree in business. Generally considered the “best school in the San Fernando Valley,” Northridge is “comparable to other major busi­ness schools, such as USC and UCLA” but much easier on your pocketbook and person­al life. “Prices are still a fraction of local private schools,” and “the evening MBA pro­gram makes attending school while working full-time not only possible, but much easi­er than anticipated.” This program is geared toward working professionals, and “All the classes are scheduled during the evening or on the weekends.” While keeping up at work and school can certainly be challenging, faculty and staff are “sympathetic to the many demands facing graduate students, who have full-time jobs and families.” The Northridge MBA comprises core coursework and electives, which together offer a “good balance of academic and professional experience.” As working professionals, CSUN students are looking to build knowledge and skills that they can immediately apply to their jobs. As such, they are pleased to report that the teaching staff is current and “well informed of the market trends.” “Every course has applications to real-world business situations,” and the program concludes with a mandatory 3-unit consulting project for a live business in the community. In addition, CSUN students can tailor their degrees though elective coursework. The school offers concentrations in international business, marketing, management, and information systems, among other disciplines. “The size of the program doesn’t allow for all of the electives to be offered each semes­ter,” so students who wish to specialize must plan their schedules carefully. For a public school, MBA enrollment is low. With only around 250 students in the pro­gram, “the small class sizes allow for you to ask questions and interact with the profes­sors and fellow students.” “Nearly every class involves small group work,” which helps students improve their team-building skills while also benefiting from their classmates’ expertise. Here, “The students are diverse in many ways, and each one has a wealth of knowledge that they gladly share.” A current student enthuses, “The courses are solid, and the students really raise the bar. You know that most of the students will be reading, studying, memorizing, and applying the material.” While all professors have great cre­dentials, some are more effective than others. Among other differences, “The younger professors are very engaging, while many of the older ones can be a bit regimented.” No matter what their teaching style, Northridge professors are generally “supportive” and “available to meet and discuss” business topics outside the classroom. Want more info about California State University, Northridge, College of Business & Economics Part Time MBA? Get free advice from education experts and Noodle community members.